Connecticut has moved to 10th place on the list of states with the most expensive gas averages in the nation. The Nutmeg State has hovered between 11th and 12th place for most of the spring and summer. 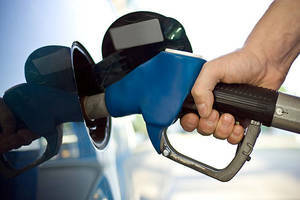 In Connecticut today (August 7) the state’s average gas price increased 2 cents to $2.48, compared to this time last week. Compared to this time last year, prices are 24 cents higher, says AAA Northeast. Nationally, the average price of a gallon of gas increased 3 cents to $2.35 compared to this time last week. Today’s national average price is 23 cents higher compared to last year. Oil industry experts expect prices to increase by summer’s end because the price of crude oil – the driving force of prices at the pump – is inching upward, possibly over the $50 a barrel mark. OPEC and non-OPEC countries are also convening this week to discuss an ongoing production agreement that would reduce oil output in an attempt to balance the global market. Demand also continues to increase and draw down upon oil inventories as summer begins to fade. Today, South Carolina and Mississippi register the lowest averages in the nation at $2.09. Hawaii at $3.06 and California at $2.96 continue to be the two states with the highest average prices in the nation.